While many websites offer free PowerPoint Templates, they are often generic in nature and lack the precise elements like standard diagrams, shapes, maps and charts which may be required for making a comprehensive presentation. Previously, we brought you the review of FPPT, which provides hundreds of Free PowerPoint templates; however, if you are looking for PowerPoint templates that can offer standard, yet editable diagrams, shapes, charts, maps and tables, SlideModel.com has it all. Want to create a Venn Diagram? 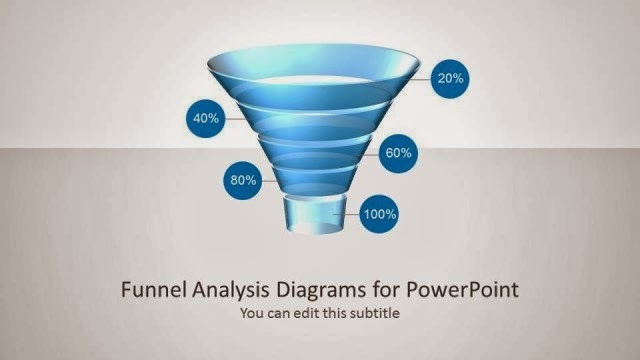 Or do you need to create a complex Funnel Diagram in PowerPoint? No matter what type of diagram you may require, SlideModel is likely to have a customizable diagram template for you. This website offers standard PowerPoint Diagram Templates for making presentations related to any topic, be it for business, academic or personal. 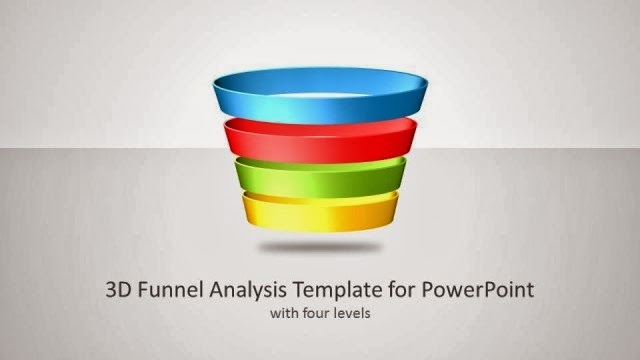 The below image shows the Funnel Diagram for PowerPoint. You can use this editable template to add your own content and data to create a professional looking funnel diagram in less than 5 minutes. Similarly, the 3D Funnel Analysis Template for PowerPoint (shown below) is just an example of how diverse the diagram templates at SlideModel are, i.e. not only are there different types of diagram templates but also multiple templates related to a specific diagram type (e.g. a Funnel Diagram). 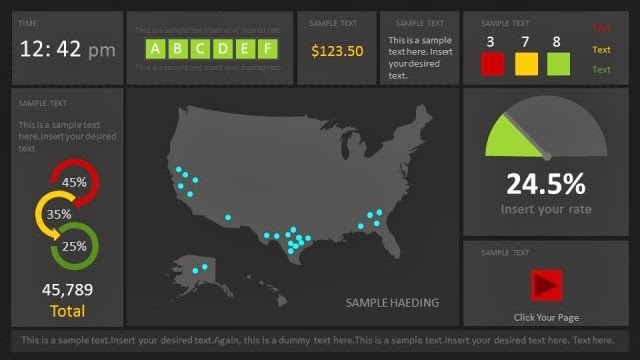 You can also create mockups, UI designs and present your data in the form of static dashboards in PowerPoint presentations using Slide Model templates. For instance, the Dashboard PowerPoint Template can serve all the aforementioned uses. This template is also ideal for presenting Key performance Indicators (KPIs) for evaluating the success of a business venture. 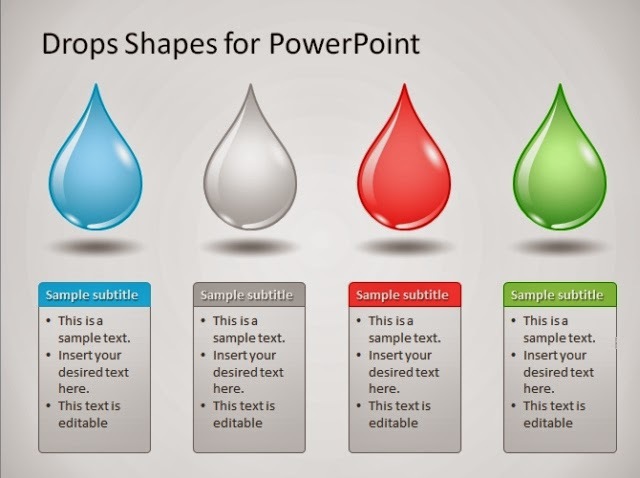 Drop Shapes for PowerPoint is another high-quality PowerPoint template by SlideModel which comes with useful water drop shapes, sample slides for making timelines and different layouts to help you create diverse presentation slides from a single template. For example, this template offer sample slides for representing a timeline, process, relationship between different topics, as well as other generic layouts. 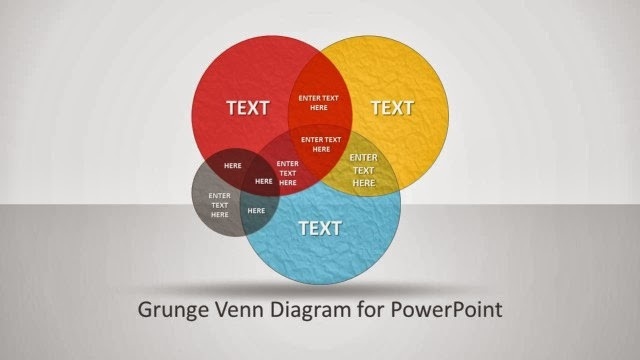 The Grunge Venn Diagram for PowerPoint comes with grunge style circles that overlap each other. This template can be handy for making uncomplicated Venn Diagrams to present the logical connections between different sets; in a layout which is easy to grasp by your audience. There are many other diagram templates available at SlideModel which come with a professionally crafted layout to make it easier for you to create slides that can represent complex data in an easy to understand layout. 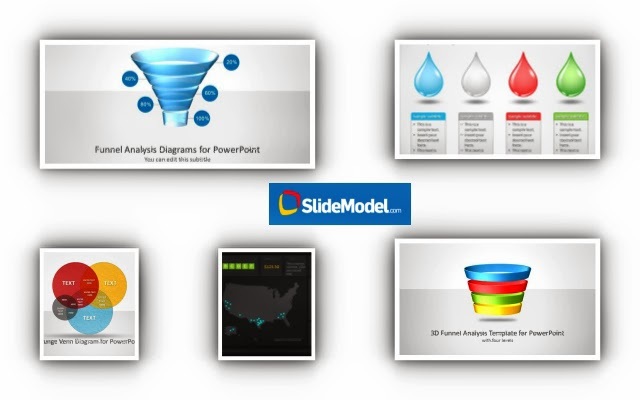 You can either buy premium templates at SlideModel individually or subscribe to a plan to gain access to a wide range of standard and widescreen PowerPoint templates, as well as other presentation resources like editable shapes, charts, maps and more.